Given the important of personal finance in life, it’s surprising that our schools still don’t teach children about money. As a parent, however, you can teach your children about the important financial lessons — and you should. Well, lets agree on one thing, that teaching children about money is not a “Taboo”. Okay, below are some ideas to help teach your children about money awareness. The more they started counting and can recognize values, show them the various denomination like by 50 butut, one dalasi or 5 dalasi. Teach them the differences in these values. Rather than spend your shopping time saying “no” to everything your kids want to touch or buy, let them get involved in the shopping. Start teaching them how much things cost. You can explain to your kids how items are priced and that you can get cheaper or more expensive versions of the same product. You could get them to compare prices for you and pick the cheapest one. If they want a particular brand then explain the price difference to them. The next time you are going to the bank, take your kids along and show them how to deposit money. They can even fill the deposit slip for you. In fact, allow them to open a child-friendly saving account in their names. I mean no fees, minimal document requirement and other benefits for kids. Take a look at your family budget and help your kids put together their own budget. By explaining how much money your family has to spend every week and how this money is spent; your kids will better understand the costs of family life and how much can be saved for other things. 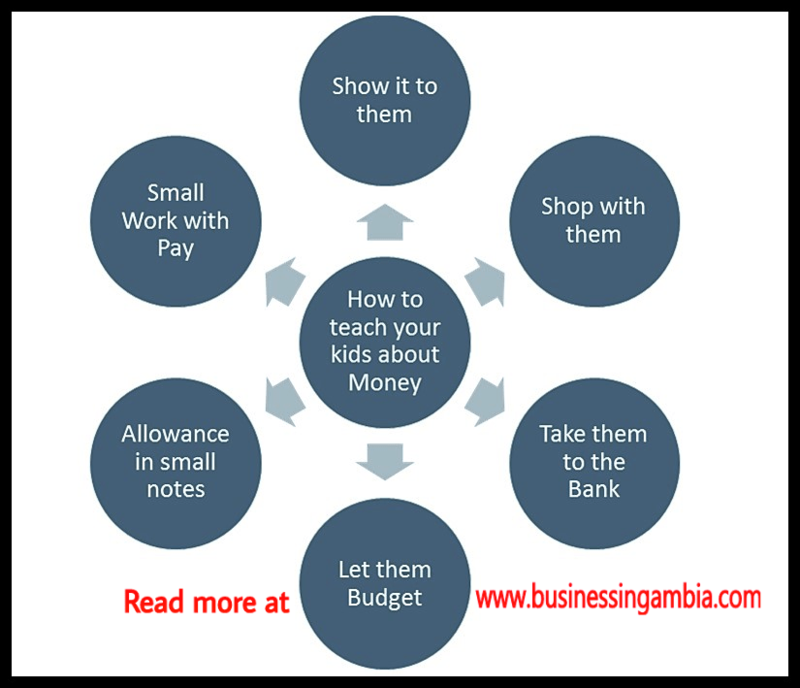 The best time to talk about budgeting is just before the kids get their allowance or any other money. If you have budget conversation a few months before or a few months after, it’s not going to have an effect. Set an expectation that certain jobs are done by family members simply because they’re contributing as part of a family, not because they will be paid to help out. Making the bed and picking up clothes could be seen as developing good habits for the future as well as contributing to the running of the household. Other jobs such as washing the dishes or putting the bins out could earn pocket money. Early in their life, help your children to make the connection that money isn’t something freely given, but is earned through work. This isn’t to say that you should put your small children to work the roofing your house. Instead, just emphasize that nothing comes free and they have to work and make a living. If you choose to give your kids an allowance, consider linking it to the successful completion of certain jobs throughout the week. Age-appropriate chores and rewards are the key. Younger kids can help with simple things like setting the table, where doing the job well isn’t as important as learning how to see it through. Older kids can take on more arduous jobs like cleaning the house. If your kids have spent money unwisely and beg for your assistance as the lender of last resort, don’t just feel pity and give it to them. If you want to help them, rather than simply giving them the cash, take the chance to teach again. Let them know that there is a difference between things you need and things you want. Teaching children about money is an important life activity every parent should seriously consider. Money skills should be developed from an early age and fostered into young adulthood. The more financially savvy your children are the better personal management decisions they will make throughout their lives. How do you teach your children about money ? We will be glad to hear from you. Savings Mean Pay Yourself First. Words of my favorite and best math teacher ever! Thank you Darryl Lovéy. It is important for people to learn how to build wealth. Wealth building starts with understanding how to earn, manage and grow it. You can read more on our article. Just remember a job is only for paying bills. Your children can’t inherit your job. They can inherit your unearned income, connections, business, and wealth. Learn to build wealth and leave them with 87% of what they need for life out the womb. This is the system the haves practice. The have nots practice 0% out the womb.